The crew onboard vessels or ships need fresh or sea water for cooking, drinking, shower, flushing and so on. SILI PUMP can supply such kind of marine daily service water pump, for example the marine sanitary pump, marine sanitation pump or the marine drinking water pump It can be in multistage centrifugal type or vortex centrifugal pump(peripheral pump) type. Usually, these daily service pumps are one part of total water supply system, for example the marine hydrophore pump for hydrophore unit, marine sanitary pump for sanitary unit, calorifier, and so on. This system usually have two pumps, one in operation and another one in stand-by condition. According to the different application, these pumps can be used as marine drinking water pump, marine sanitary pump, marine potable water pump and so on. The drinking water pump must be fresh water pump, and the material should be in stainless steel, without contaminating the drinking water. 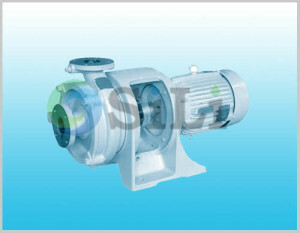 SILI PUMP is a reputation marine daily service pump supplier and manufacturer in China. Click the following suggested pump link to find a suitable model: marine sanitation pump. Any inquiry or comments about the marine sanitation pump, just contact us.